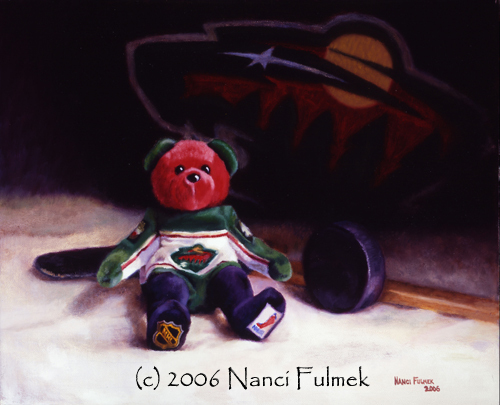 I picked up this little bear at my first MN WILD hockey game. I love how the white fabric makes the bear look like he is sitting in the snow, all ready to go out and play hockey! NOTE: Image may appear differently depending on your monitor. To see the image, call me to make an appointment at my studio. I’d love to have you over!